Ding dong, there's a robot at your door and it's got your extra large pizza. This could be a future Saturday night scenario if Domino's Australia gets its way. Domino's Australia is independent from the U.S. based pizza chain, but pays a royalty to use the name, logo and recipes. 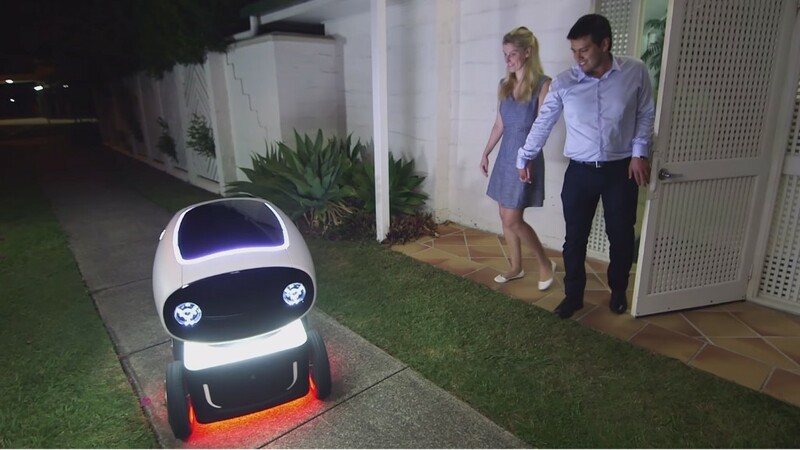 The four-wheeled machine dubbed DRU -- for Domino's Robotic Unit -- completed its first trial delivery earlier this month. "We improvised, we explored, and we discovered that this audacious idea could actually become a reality," the company said in a promo video. The robot uses GPS for navigation and can sense and avoid obstacles as it travels. It is designed to travel on bike paths or footpaths and can reach speeds of 12 mph. It's not clear how far the robot will travel to deliver a pizza. A hidden locked compartment pops up to reveal hot and cold chambers that hold a customer's order. The customer can get at the pizza by using a security code sent to the customer's phone. "We are proud to also be part of this world-first innovation in pizza-delivery technology," Marathon said in a statement. 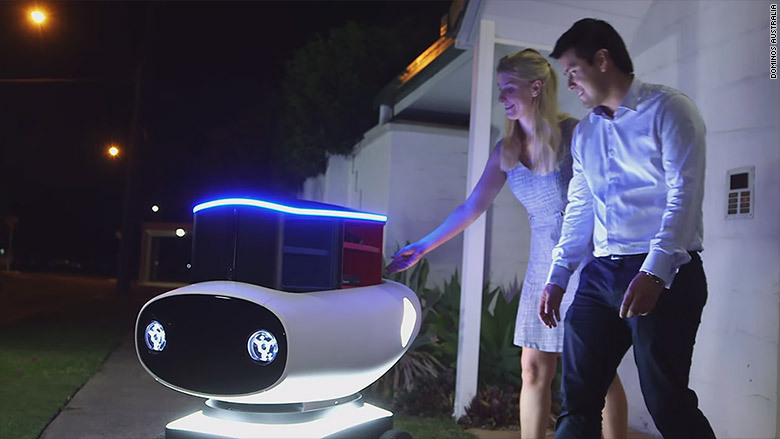 Marathon and Domino's Australia are calling DRU "the world's first autonomous pizza delivery vehicle," but it's just a prototype for now. Don't expect to see any robots delivering your food just yet. The Domino's brand is famous for dabbling in new technology fads for public relations and practical purposes. Three years ago, Domino's U.K. showed off a concept drone that delivers pizza. And in May of 2015, Domino's started letting people order pizza using emojis on Twitter.